Max Cavalera has been a prominent contributor to heavy music for decades. March 8th, 2018 marked 23 years since the release of an album Cavalera performed on titled Point Blank, by the band Nailbomb. In the time since the release of that record it has developed a cult following though Nailbomb has yet to release a formal follow-up. The other half of Nailbomb, Alex Newport (Fudge Tunnel), is an audio engineer who has been at the recording helm of a number of great records. Scene Point Blank spoke to Max about revisiting Point Blank, its enduring effect and touring Canada. What started as a casual collaboration between Cavalera and Newport blossomed into a full-length record that had sustaining impact on its members, and fans alike. 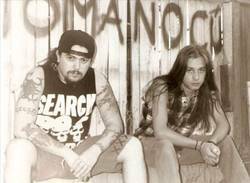 Sepultura, for whom Cavalera plays guitar and sings, was in between releases, so a window of time was available for Nailbomb to exist. Cavalera describes how he and Newport meshed, and the factors that fueled the writing process. “As far as the riffs it was really kind of like my curiosity in Alex’s songwriting for stuff like Hate Songs in E Minor (Fudge Tunnel’s 1991 record). And then Alex’s curiosity on my kind of riffs like Desperate Cry, Dead Embryonic Cells, Arise (tracks from Sepultura’s 1991 release, Arise). The chugging, the Sepultura chugs, and the thrash stuff. The combination of that is what you hear on Nailbomb,” says Cavalera. Cavalera reflects on the genesis Point Blank as though he was recording for it yesterday. His vivid recollection of assembling sounds, writing and recording is told enthusiastically with great detail, and reflects the relentless energy of the record. Cavalera describes the process of making sounds to be used throughout the record in an era without the convenience of the internet. “Back in those days we created our own sounds,” Cavalera says. Those sounds included baseball bats against the metal of washing machine, screeching brakes from Cavalera’s Camaro (a sound that was slowed down and used many times on the recording according to Cavalera), and audio samples from various films. Max Cavalera and Alex Newport were incorporating a variety of sounds, riffs and processes into Point Blank. Reviews and fan commentary cite the incorporation of industrial sounds into the Nailbomb record as an appealing element on the surface, as well as something that galvanized the styles of music heard on the record. Cavalera highlights the importance of using a drum machine and the ability to sample sounds in making the record. In addition to crafting their own sounds were direct, and indirect, contributions from other bands, including those with industrial sounds. While recording Cavalera describes a chance encounter in the studio. A “dude with a cowboy hat on,” Cavalera recalls. “He was super nice. “You guys sound pretty heavy.” I think he said something like that.” The man in the cowboy hat was the late Glen Campbell. The album saw contributions from Igor Cavalera(Sepultura),who provided a couple drum tracks, and Dino Cazares(Fear Factory) who added guitar tracks. “I always loved Dino’s guitar sound and riffs,” says Cavalera. For Cavalera, it had been a break from Sepultura between Arise and Chaos AD that helped facilitate the creation of Point Blank. When Sepultura picked up their writing for Chaos AD, Cavalera had yet to finish vocals for Point Blank. 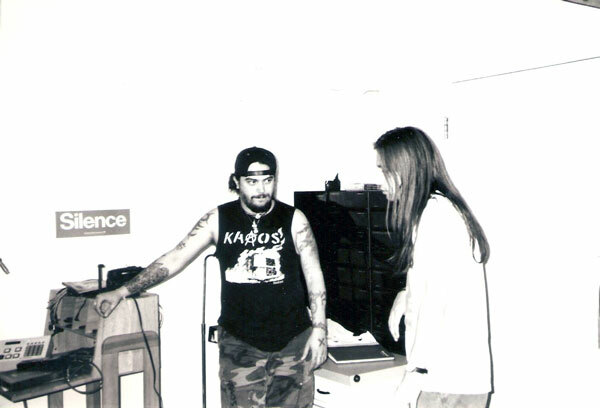 While Cavalera was mixing Chaos AD in England, he made time to keep working on the Nailbomb record. In the years since, Cavalera’s experiences writing and recording Point Blank have stayed with him. Cavalera is about to embark on a tour playing the Point Blank record in its entirety, in Canada, with the members of Soulfy. He talked about the upcoming tour, eager to play. Max Cavalera can be seen and heard on tour in Canada, with Soulfly, playing the 1994 release Point Blank by Nailbomb. Words by BJ Rochinich on March 10, 2018, 12:21 p.m.
Posted by BJ Rochinich on March 10, 2018, 12:21 p.m.